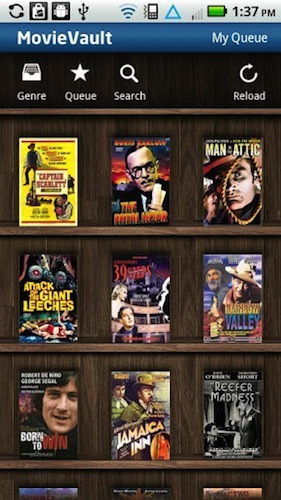 Movie Vault is an app that lets you watch old films on your Android device for free. You can choose from over 1000 classic films from their collection. Once you've decided on the movie you want to watch, you can stream it from their server. Note that all movies in this app are public domain ones. 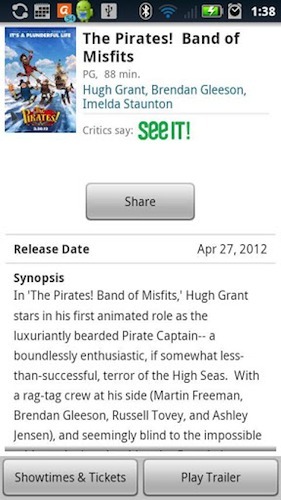 IMDB is the biggest Internet movie database out there. You can find any information about your favorite movie or TV show, be it the director or an extra in the film. The IMDB app lets you search from over 2 million movie titles and over 4 million celebrities, actors, directors, and other crew members. Once installed, you can use the app for checking the movie’s ratings, its trailers, local show times, Metacritic score and more. 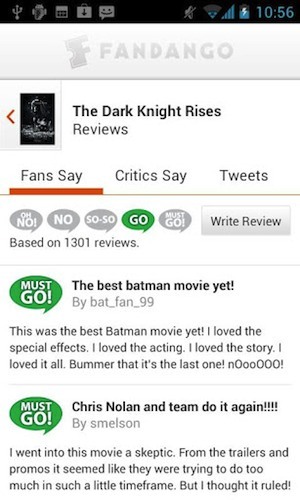 Furthermore, you can also rate your favorite flicks using your IMDB account. Another great thing about this app is that it includes the site’s classic IMDB Top 250 list along with other top lists. 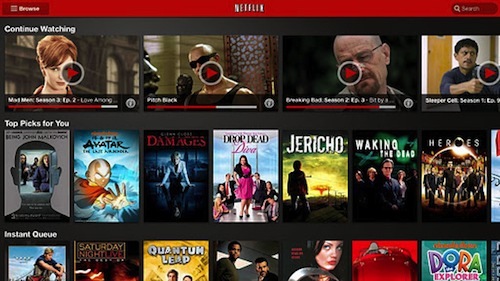 One of the best subscription services for watching movies and TV shows, Netflix is hugely popular in the United States and Canada. 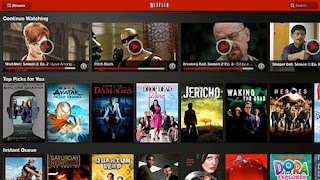 Once installed, the Netflix Android app will let you browse and play your collection from anywhere. Though the app requires a subscription, it does, however, serve as a great app for movie fanboys and fangirls. 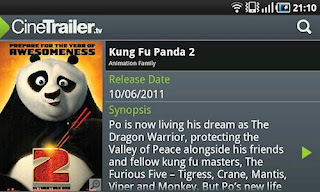 Moviefone is a free app that lets you find movies and show times. Once installed, the app gives you access to maps and directions to theaters across the US. 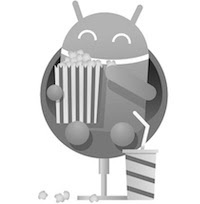 You can then book your tickets right from the app, making it a must-have for frequent moviegoers. Rated as the #1 movie application for Android, Flixster lets you stream and download full-length movies. 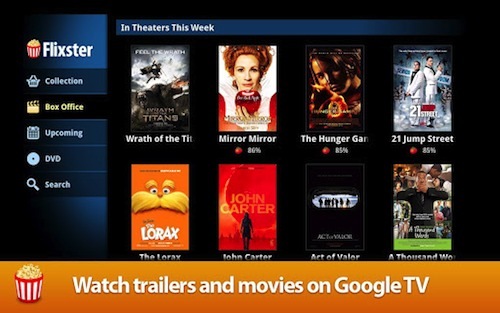 Once installed, you can browse the top box office movies and movies that are opening soon. You can then lookup show times and buy tickets too. Another great thing about this application is that it integrates with the popular Rotten Tomatoes service making it easier to spot the bad -- or the rotten-- ones from the lot. Moreover, upon installing, you get a free movie making it worth a try. Fandango is another great app for looking up show times and for booking movie tickets. The app lets you find the closest theaters to you using your GPS and then lets you book the tickets. 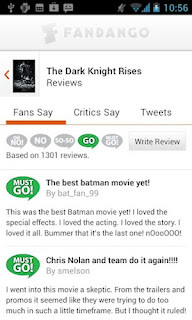 The app also brings together movie-related tweets and Metacritic ratings making it easier for you to judge which movie to watch. Rated 4.4 out of 5 stars, Fandango is freely available for download from the Play Store. CineTrailer is a free app that lets you find movie trailers, show times (UK), movie synopsis, and more. The app lets you search for a movie or an actor by typing its name or speaking it using the voice search functionality. You can then explore the movie or click on the actor’s link to find out more movies of the same star. DirecTV has an updated app that allows you to use voice commands to stream TV, find movies, or set up your DVR to record shows while away from home. You can stream content to your mobile device for On Demand viewing of your favorite TV shows. You have to have a residential home account to access the On Demand content however. You can sign up for service at www.SaveonTVDirect.com to take full advantage of the features.